When you sustain an injury, your first thought might be to visit the ER. But guests of Direct Orthopedic Care (DOC) will tell you you’ll be better served by skipping the ER and going direct to DOC. Why? Because DOC saves you time and money. And when you’re in pain and need the expertise of trained orthopedic specialists, you don’t want to waste either. Check out the following charts to see how much DOC actually saves you. The average cost of an operation at an ER, when compared with DOC, is nearly six times more expensive. On the same procedure, you could spend 1,000s of dollars more at an ER than at DOC. For every extra minute you have to wait to see a doctor, that’s another minute of unnecessary pain you may experience. No one wants to wait hours to get the treatment they deserve. At DOC, our average wait time is less than an hour. Often you can walk into any of our clinics and see someone right away. 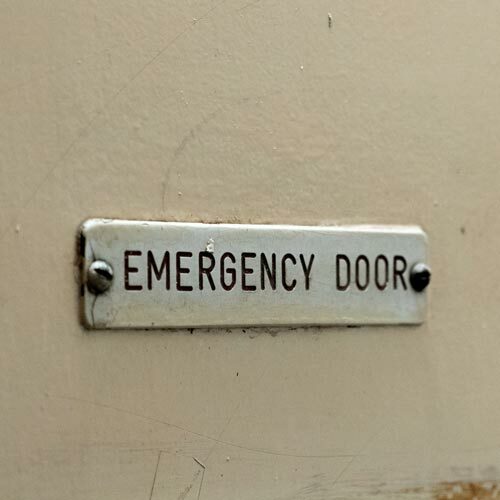 But at the ER, you could be waiting more than two hours for a non­-critical emergency. When you visit the ER for a broken arm or to discuss back pain, you’re not just surrounded by fellow patients with the same injuries or ailments. You could be sitting next to someone with a contagious disease or infection. Don’t put yourself at further risk when Direct Orthopedic Care can see and treat your orthopedic injury or pain with trained specialists. We have orthopedic specialists on staff and ready to see you. Why choose DOC over an ER? The answer is simple. So, when you need us, skip the ER and go direct to DOC. You can find a location in the Dallas-Ft. Worth and Austin areas. Locate a clinic near you.